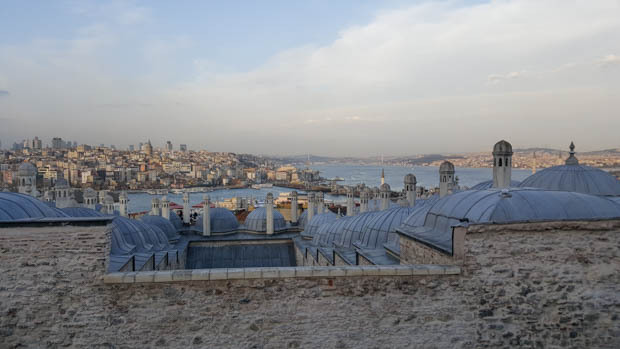 Istanbul is one of those cities where, if you don’t understand the history behind it, you’re left scratching your head. Architecturally, it’s a huge mash-up that tells the story of the city’s past. Back when I was in university, we had a project in architecture studio where we made architecture collages. The first person got a blank board and a name of a building, and they built a model of that building. They passed the board to the next person who got another random building, and they had to find a way to integrate that into what had already been built. The board was passed again, and the last person had to add in another architectural component. The final result was weird and interesting because each collage was a confusing mix of different architectural styles, and if you didn’t understand the project, you would have stood there wondering what crazy person put the models together. Similarly, if you don’t understand the story behind Istanbul’s growth and development, the architecture of the city doesn’t seem to make much sense. Let’s start from the beginning… If you look at a map, it’s obvious why Istanbul is located where it is. 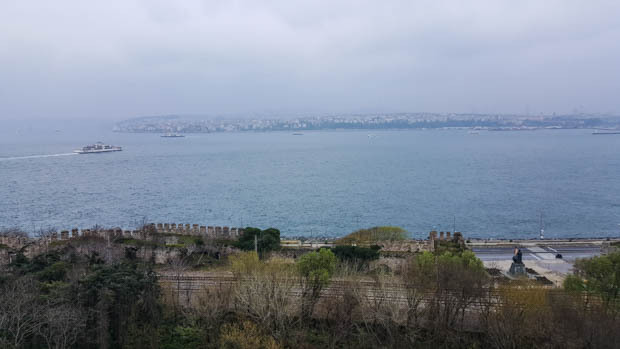 To the north is the Black Sea, to the south the Sea of Marmara, and right through the middle is the Bosphorus Strait, connecting the Caucasus and southeastern Europe to northern Africa and the Middle East. It’s like a trader’s dream. The first inhabitants of the area may have arrived as early as 3000BC, but a true city wasn’t established until the 600s BC when Greek colonists settled there because of its location. They were led by King Byzas, and in typical, modest-king fashion, he gave the city its first name, Byzantium, after himself. Rome conquered Greece in 149BC and moved into Byzantium soon after. The Romans started to build it up into a Roman city, complete with city walls, a Roman layout, a hippodrome, and monuments to various Roman battle victories. The Roman Empire was divided in two with Rome as the western capital and the newly named “Augusta Antonina” (really rolls off the tongue, doesn’t it?) as the eastern capital. 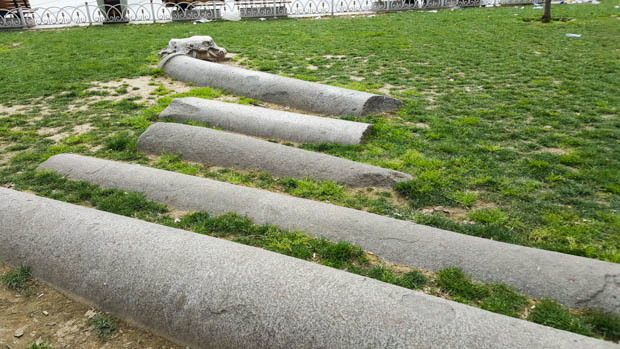 Examples of random things you can find around the city because of its complicated past: columns, probably from Roman times, half buried in the middle of a random park in the city. In 395, the Empire was split into Eastern and Western halves, and after the Western Empire fell, Constantinople and the Eastern Empire were still going strong. Between the time of Constantine’s rule and the eventual conquest of the city by the Crusaders in 1204, there was a lot of action. The walls were expanded, aqueducts and churches were built, and the city resisted multiple attacks by Arab conquerors. There were various revolts in the city, buildings were destroyed and rebuilt, and the emperors continued to build ever more impressive and ridiculous buildings. In 1204, Catholic Crusaders from Italy broke through the city’s sea walls and took control. During their brief period of control and in typical Crusader fashion, they stole all sorts of items from the palaces and churches and sent them back to Rome, where many of them remain to this day. The Romans managed to push the Crusaders out in 1261 and reclaim control of Constantinople. They never reached the strength of their former occupation and were weakened further by the repeated attacks of the Ottomans. Finally, in 1453, Sultan Mehmed II was successful in conquering the city, and Constantinople became part of the Ottoman Empire. Over the next almost 500 years, the Ottoman Empire expanded its control across the region. The sultan was determined to rejuvenate Constantinople. He created the Grand Bazaar (a huge covered market), built palaces, mosques, bathhouses, and other public buildings, brought people from various religious backgrounds into the city to have a diverse population, and started the movement of the city towards its later status as a major cultural, political, and commercial center. 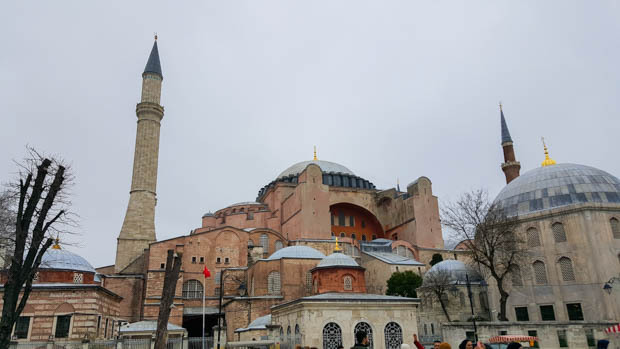 This is the Hagia Sofya. It started as a church and was converted into a mosque later. Can you see how the towers were clearly built at a different time from the rest of the building? Following its defeat in WWI, the Ottoman Empire ceased to exist, and in 1923, the Republic of Turkey was born in its place. Within the new republic, the capital was moved to Ankara, and Constantinople started to decline. The population decreased, and parts of the city fell into disrepair. Eventually, things started to turn around. In 1930, the city of many names became Istanbul. In the 1940s and 50s, the city’s structure was updated with the construction of new public squares and boulevards. Finally, in the 1970s, people were drawn back to Istanbul because of the many new factory jobs available on the outskirts. This led to the rapid growth of the city, turning it into a sprawling metropolitan area. 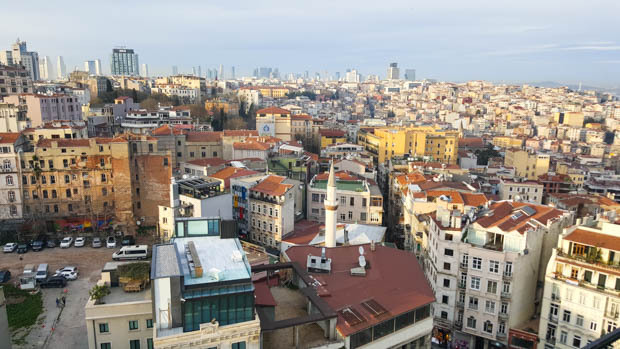 Currently, it is the largest city in Turkey with a population of approximately 13.5 million people, and it enjoys the exclusive status of being the world’s only metropolitan area that exists on two continents (Europe and Asia). Its complicated history makes it an even more interesting place to visit, and I had a lot of head-scratching moments as I explored and tried to figure out how everything fit together. I’ll do my best to spare you the same struggle!